As 2018 draws to a close, I can't help but sit here, with a broad smile on my face, and remember this day, two years ago. December 31st, 2016 - the very last day of National Parks on the Air. NPOTA was such a wild success, I have said and will continue to say that when the bicentennial history papers are written for the ARRL so many years into the future, NPOTA will continue to stand out as one of the all time crown jewels of ARRL operating events. Over 20,000 NPOTA activations were completed and over 1,000,000 QSOs were logged on LotW. I think it will be a very long time before we ever see its likes again. So much fun was had, so many friendships were made, so many fledgling operators became grizzled veterans. So much good stuff happened that year. 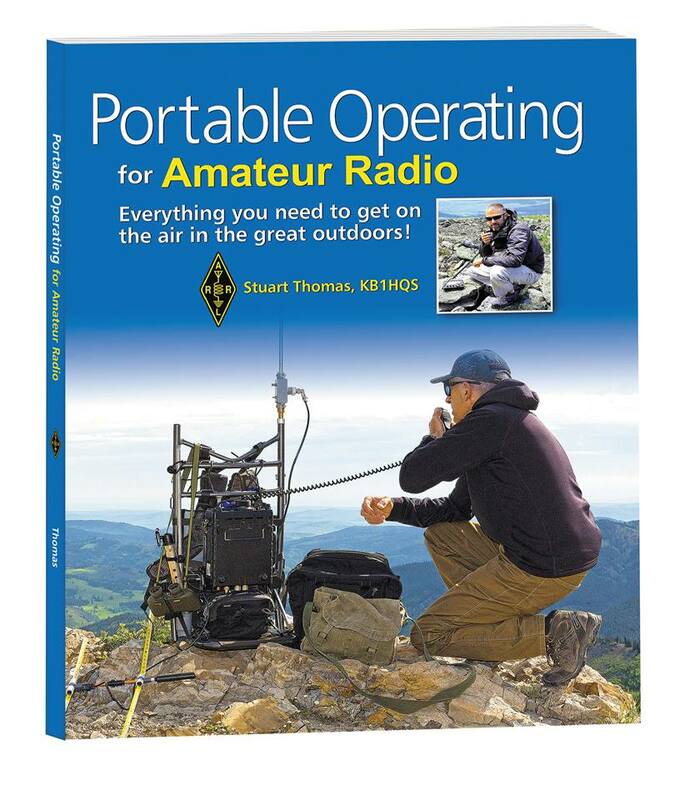 Even a book on portable operating by Stuart Thomas KB1HQS, came out as a result of NPOTA. But that day, December 31st, 2016 still ranks in the top five of my personal "Best Days in Amateur Radio". I started the day at Morristown National Historical Park, making contacts. My goal for the day was to work Dave KD2FSI on SSB and I met that goal. We had worked the park together that January and that's where Dave's year long NPOTA adventure was launched. I wanted to end the year as it started and there was no better way to do that than to hook up with Dave on the radio. The QSO was made and I was happy as a clam. However, the day got better when Dave showed up at the park in person a little while later and we got the chance to reminisce about our NPOTA experiences.. Even "better-er", we got the chance to put in some PR or Amateur Radio by explaining to some curious bystanders what NPOTA and our hobby were all about. In return, they shared their "glug" with us, which is a Norwegian concoction of warm red wine, raisins and almonds, It seems that small group of friends also gather at the park every New Year's Eve to share their own tradition; and they were kind enough to include us. So cool! After Morristown, I headed back home to the Frazee House on the Washington-Rochambeau Trail which is not far from my house. 40 Meter CW was quite good, but pickings on 20 Meter CW were disappointing. Not wanting my end to NPOTA to come so early, I decided to switch from CW to SSB. To my amazement, I was occupied with a pileup on 20 Meters that lasted well over an hour! I was so glad that I had brought the microphone along, as that is something that I don't normally do. 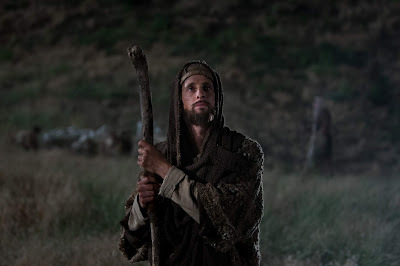 It proved to be a providential move for me, and an eye-opener, too. It was a day of personal Amateur Radio accomplishment and a day of total fun. I met up with KD2FSI, made a slew of contacts at multiple NPOTA sites, and then finished the day in conversation with Bob W3BBO. It just doesn't get any better than that, and it sure seems that days like that don't come around often enough. The memories are cherished long after the event concludes. I missed the days of "The Golden Days of Amateur Radio" from the 40s, 50, and 60s - but I was fortunate enough to live through and participate and be part of National Parks on the Air. For that, I am very, very grateful! With the weekend here, I finally got some downtime and was able to do some Amateur Radio stuff today. I got on the air and worked a few Canadian stations in the RAC Winter Contest and I also worked a station down in the Cayman Islands. Both the Caymans and British Columbia with 5 Watts and no sunspots? Not bad. What I really enjoyed was the opportunity to finally give that Mustel G600 microscope/camera thingy a whirl that I purchased a few months back through Gear Best. I bought an inexpensive cutting board at the store when I went grocery shopping this morning, and I mounted it to that. The suction cup at the base seems to hold it in place very nicely. After playing with it for a while, I've come to the conclusion that this will be extremely useful for parts identification. 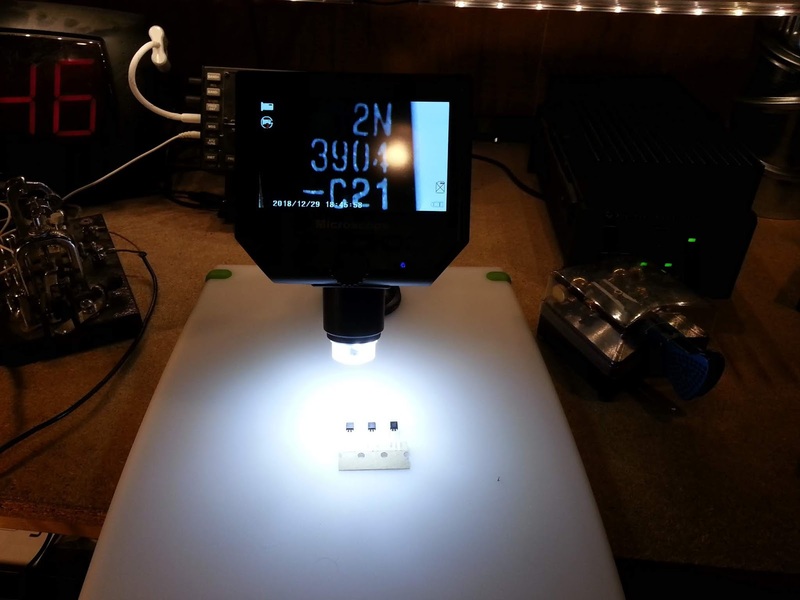 And it will be also very useful for checking for solder bridges - particularly for SMD soldering. Please pardon the bright yellow spots in the photos, that's the flash from the camera. Those spots aren't there in actual use. But to actually use it while soldering doesn't seem possible to me. I have to look at what I'm soldering while I solder it. 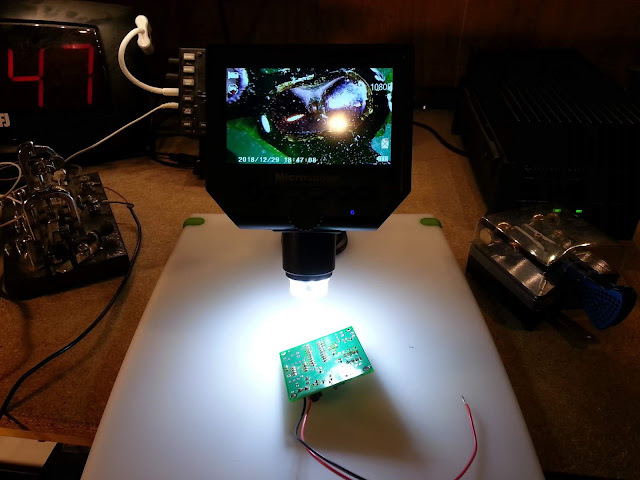 I don't think I'd be able to solder something while looking at a remote screen instead of looking at the actual board itself. For actual soldering, I will rely on the cheapie reading glasses I bought at the drug store. But for parts ID and solder bridge checking? This thing has a magnifying glass or head mounted magnifying loupes beat nine ways to Sunday! A more expensive unit would probably allow me to zoom in and out. This unit is fixed as far as that goes. The adjustable arm will allow me to move it back and forth a tiny bit, but not much. For the money I paid, which was a pretty small amount, this unit will serve me well. Since Christmas was Tuesday and it's a holiday week, there were no regularly scheduled QRP Fox hunts this week. However, W2SH and a few of the regulars organized a 160 Meter Foxtravaganza last night. During one of these, all the Hounds and Foxes get on the air at one time and try to work as many of each other as possible. I made only one contact last night, and that was with Dave K1WHS. I heard quite a few people out there; but I was suffering from S9 noise from about 1.805 MHz to about 1.820 MHz - and that was the sweet spot where everyone seemed to be hanging out. 80 and 40 Meters were both noise free - go figure. Recently, we've had a utility company go around to all the utility poles in the neighborhood and re-do the ground wires. It's made quite the difference on 80 Meters, which has really quieted down in the last few weeks. Maybe once all the neighbors take down their Christmas lights, 160 Meters will go back to its normal, quiet self. Admittedly, we are both fascinated by the ability of a diode, capacitor and a coil to detect radio waves and convert them to audible signals that you can actually listen to. "The Magic of Radio" as we both refer to it. It never gets old, and it seems that as technology gets ever more sophisticated and complicated and involved, we are both still fascinated by and drawn to the simpler aspects of radio. 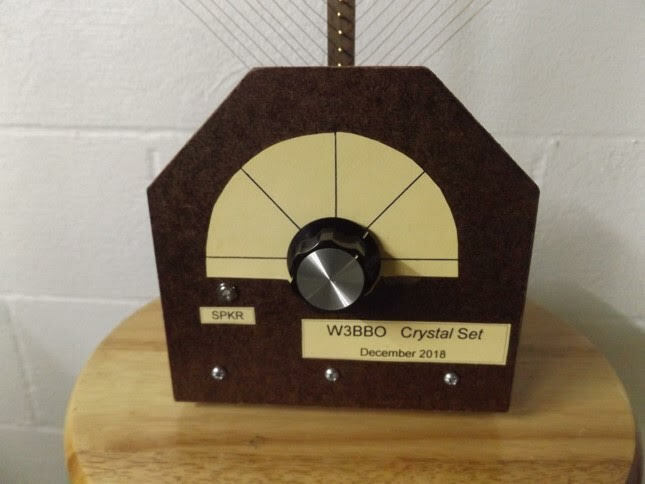 That may mean crystal sets or just "doing HF" like we used to - twiddling the dial, making QSOs without the aid of Clusters, Panadapters, and other gadgets and hoo-haws, and just enjoying being on the radio. Isn't his handiwork the coolest? "I removed the headphones and attached my old Radio Shack amplified speaker. Basement filling sound, just like having a “real” radio on. I find it’s performance amazing! The only power source is the 9-volt battery in the amplified speaker!" That's the wonder of it all - radio from a receiver that's not powered by anything, really. I used to sit in our kitchen with the alligator clip attached to the metal finger stop on our rotary wall phone. I was able to pick up WWOR and WABC and a few other NYC stations, as well as WCTC our local AM station in New Brunswick, NJ. Looking back at it, I think that like Bob, it was crystal radio that planted the seed about RF that eventually bloomed into the Amateur Radio flower. The weather forecast for New Year's Eve this coming Monday is a rainy one. We rarely go out on New Year's Eve anyway. Marianne and I are not partying people. Our idea of a big New Year's Eve is to go out to a quiet restaurant for dinner and then come home to watch the ball drop in NYC via the television. Sign of the times - I saw a commercial the other day for WABC's "New Year's Rockin' Eve" and I was able to recognize only two of the performing artists. I am getting old. I have had more practice with the Vibroplex and while I'm a bit rusty, I don't sound too terrible. After using a keyer and paddles for so long, it is harder for me to transition to the sideswiper. When you get so used to one side of a key making "dits" and the other side making "dahs", it becomes harder for me to send somewhat decipherable Morse Code with the Cootie. Maybe I'll practice for a bit this weekend with the VOX on the KX3 turned off so that it becomes one of the most expensive code practice oscillators in the world. and that those who were wishing to find a nice new shiny transceiver, key, or accessory - or perhaps and older, slightly less shiny vintage radio that you've been pining for - found it waiting for you in your stocking; or under the Christmas Tree. W2LJ doesn't really get many Amateur Radio gifts for Christmas, anymore. I really don't need anything very badly and my wife really doesn't have much more than an outside acquaintance with the hobby, so she wouldn't know what to get without my direction, anyway. My big sister surprised me this year, however. We went over to her house for Christmas dinner, as we do every year. As if our family spending time with her, and my brother-in-law and my nephew isn't enough of a Christmas gift in and of itself, a special present was waiting for me. I have to admit, when I unwrapped it, I was wondering what the book was about. My sister knows that I'm a big NY Mets fan; but baseball isn't exactly what you would consider a contact sport - unless you're talking about the bat and the ball. 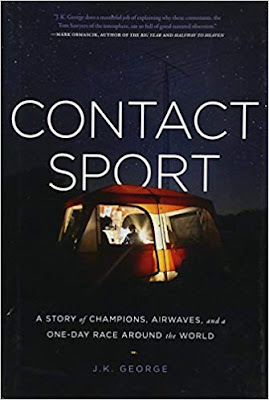 I immediately thought it might be about some other sport - but then the cover has that picture of the tent, and the mention of the word "airwaves". What is this all about? A quick glance of the inside jacket flap revealed that this book was indeed about Amateur Radio. In particular it is the story of the 2014 World Radiosport Team Championship. I didn't even know that a book had been written about that! Not that I'm anything of a die hard contester; but this book intrigues me. The WRTC is a lot like Field Day on steroids when you think about it, and I love Field Day, very much I think that this is going to be a very enjoyable read. 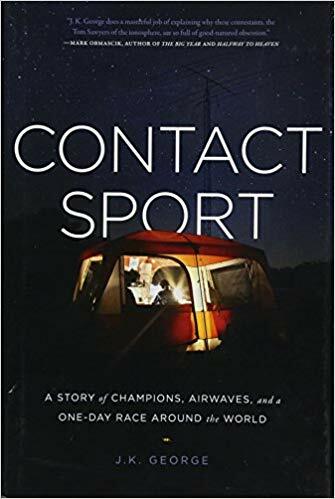 But then again, I find any book that has a story to tell about Amateur Radio to be very enjoyable. So once again, a very Merry Day-after-Christmas to all my readers out there. Enjoy the Season. The world might tell you that the holiday is over; but for a lot of us, it has just begun! "Now there were shepherds in that region living in the fields and keeping the night watch over their flock. 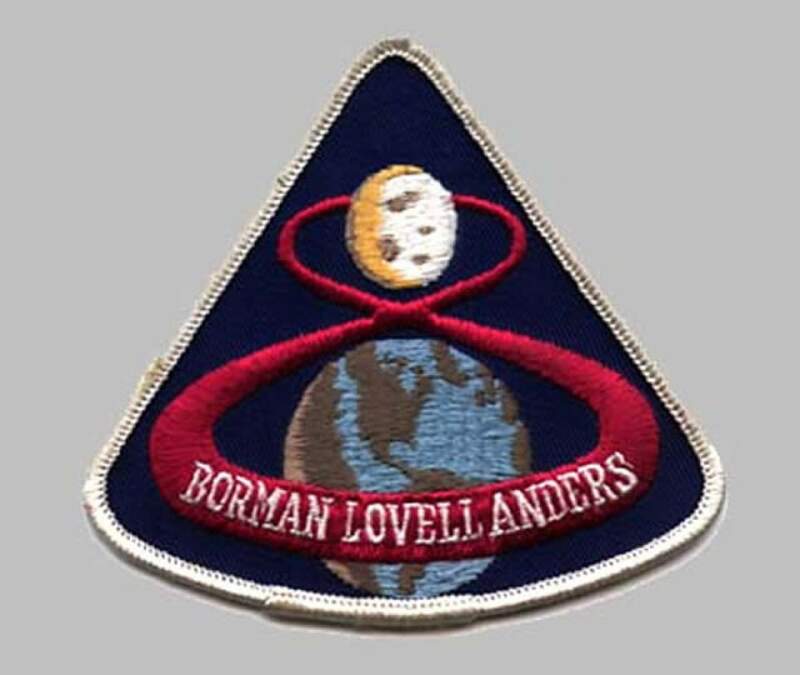 It was 50 years ago today that the crew of Apollo 8 slipped the surly bonds of Earth, taking mankind on one of its most daring voyages - the first manned flight to the Moon. Never before had human beings escaped the confines of Earth orbit - never before had humans ridden the monster known as the Saturn V rocket - the most powerful machine ever built with human hands. Today, we remember and salute not only the brave and valiant crew of Apollo 8, but the untold thousands of men and women who worked behind the scenes at NASA and all the supporting agencies and companies. They got these men to the Moon and safely back to earth. When I see something like this, whether it be on Facebook, Twitter or some other social media platform, I just have to smile to myself. The guys gets 26 comments. mostly from Amateur Radio operators who understand propagation, how it works and that QRP doesn't necessarily mean "weak signal". He turns off commenting for the post. Kind of like throwing a smoke bomb into a room, yelling "fire" and then running away. I wonder what he was thinking? I think the internet definition of a person like this is "troll". He'd be much better served by doing a little research, maybe get to know what he's bashing and then seeing if his preconceived ideas actually hold water. This is the same reason why I won't jump on the FT8 bashing bandwagon. Even though it's not my cup of tea - there's a ton of folks out there who seem to enjoy it and get a kick out of it. Just because it doesn't tickle my fancy and I don't see the big attraction - I'm not about to put them down or tell them they shouldn't be having fun doing what they're doing. 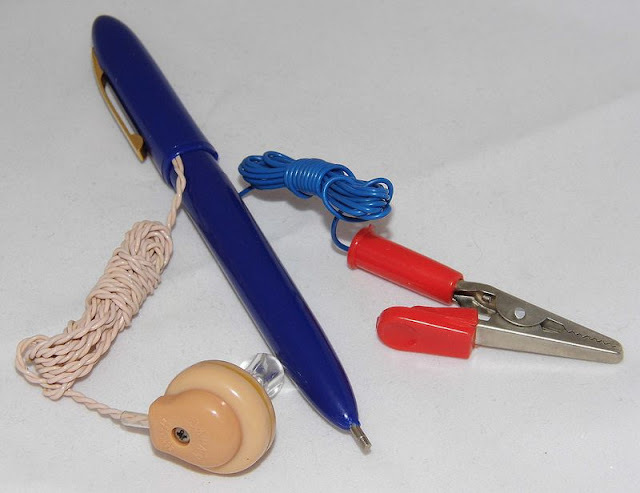 Amateur Radio is a big enough tent under which we can all have fun. 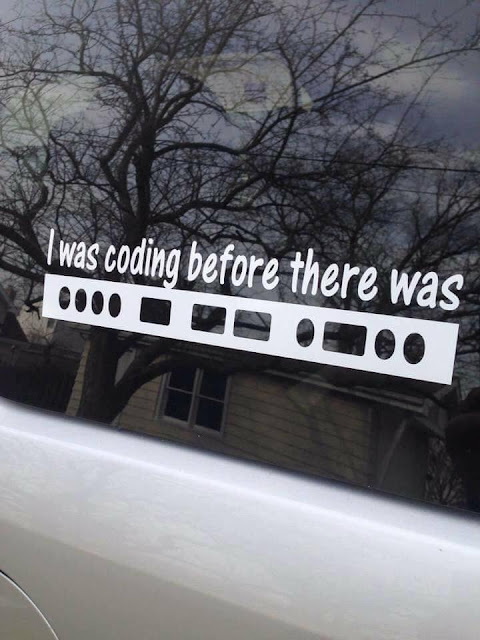 About a week ago, I went to my car to participate in the Northern New Jersey ARES Net. The repeater that the net is held on is in Morristown, NJ. Not that far away; but not reachable with a hand held from my house. I went to the car to use the mobile rig, as it has more "oomph". It was then that I noticed my QYT 8900 mobile VHF/UHF radio was not transmitting. When I would key the microphone, the display would show full output, but I was not making it into the repeater. ANY repeater. I tried just about everything that was in memory - nothing. That's definitely not good. As the EC for South Plainfield and as a member of the Middlesex County ARES Team, I can't afford to be without VHF/UHF capability in my vehicle. I also have a son in college and am paying a hefty tuition bill, so I can't afford a new rig, either. I went to Amazon to see what I could get for under $100 as that's all I was able to scrape together right now - the fact that Christmas is next week wasn't helping, either. Yes, indeedy a Kenwood / Yaesu / Icom product would have been much preferred. At this time, I cannot afford that - and the QYT 8900, while it lasted, provided me with a couple years of good service. The quality of received audio was very good to excellent; and no one ever complained about my signal other than the normal "being out of range" type of comments that you'd get with any mobile VHF/UHF transceiver. It arrived last Friday and I began to program it last weekend. Manual programming as the programming cable that comes with the radio seems to be a piece of junk. Using the QYT software or CHIRP, I get the "Cannot Clone Radio" error with both Windows 10 or XP. Manual programming isn't difficult at all, it just takes more time - and I cannot change the splash displays manually, either. "So what is Santa leaving under your Christmas Tree this year?" 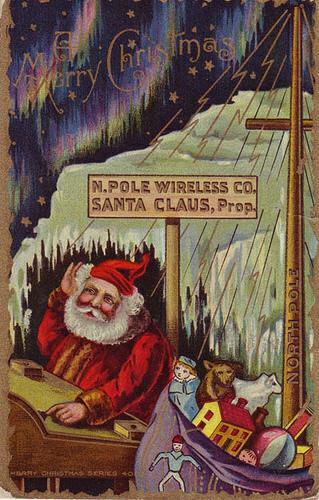 Or maybe more appropriately, what Amateur Radio goodies are YOU wishing that Santa will leave for you this year? Please let us know in the comments......you never know - Santa may very well be a reader of this blog! W2LJ came in as the 1st place station for Middlesex County in the 2018 NJ QSO Party. Pretty hard not to when you're the ONLY entry from Middlesex County! But seriously, it WAS a fun event and my first time entering into the fray of the NJ QSO Party. Next year, I hope to get the South Plainfield Amateur Radio Club involved and maybe we can give some of the other NNJ Clubs a run for their money. But even more seriously - many kudos and thanks to the great folks at the Burlington County Amateur Radio Club for the excellent work they do in sponsoring this. 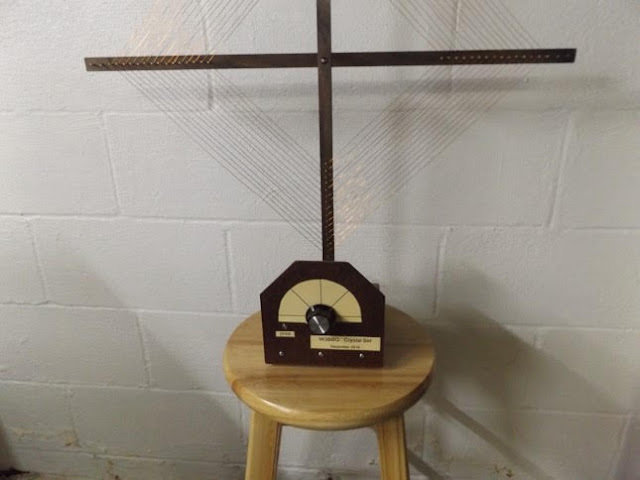 The NJ QSO Party was on its deathbed just a few years ago. BCARC breathed life into it and resurrected it. It seems like participation is growing with each year. Like I said before - I had fun. God willing and the creek don't rise, I'll be back in 2019. And maybe by then, I'll figure out how to submit a proper cabrillo file. BTW, if you don't subscribe to the K9YA Telegraph, please consider doing so! IMHO, it's THE best free Amateur Radio e-zine available today. You know that old saying, "He's a day late and a dollar short"? I'm a day late in posting this, but it's relevant to all of us Amateur Radio operators, especially the DXers among us. For 117 years ago, on December 12th, 1901 a single Morse Code "S" was transmitted via radio from Poldhu, England to St. John's, Newfoundland, Canada. 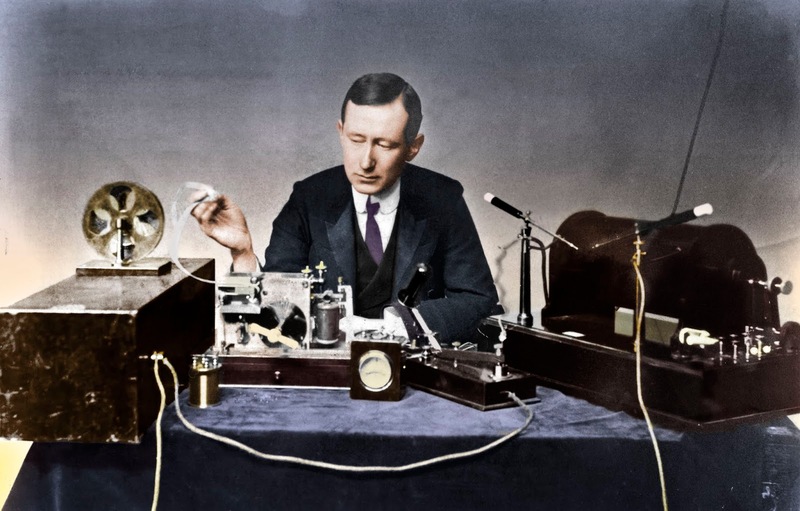 You can argue all day about who actually invented radio, but it was Guglielmo Marconi who first succeeded in proving that radio signals could traverse the Atlantic. His detractors, "The Experts" of the day, came to a "consensus" and insisted that radio waves could only follow the curvature of the Earth and would be limited to a range of 200 miles or less. Marconi believed different and was able to prove them wrong. 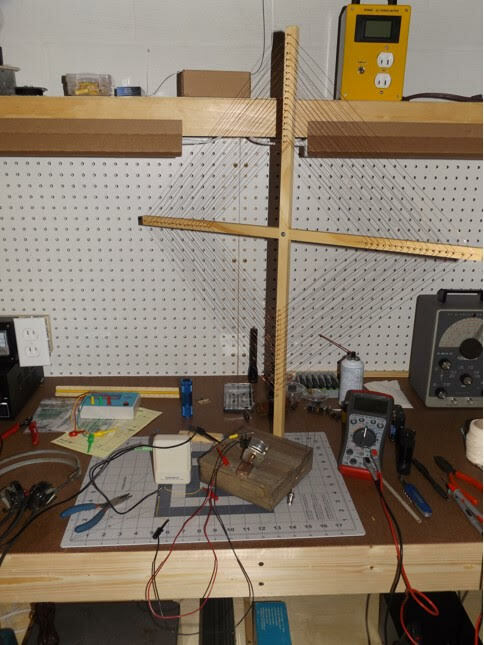 I wonder what Mr. Marconi would think of modern QRP'ers, with our ridiculously short antennas (compared to the miles of wire he thought necessary) and our measly 5 Watts? I think he'd be beaming and would be the prime SOTAteer. 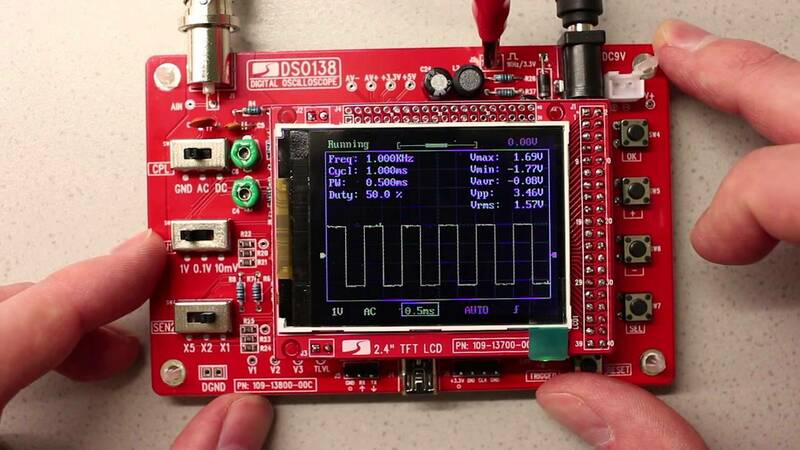 This transceiver is going to be quite THE thing when it is finally available! 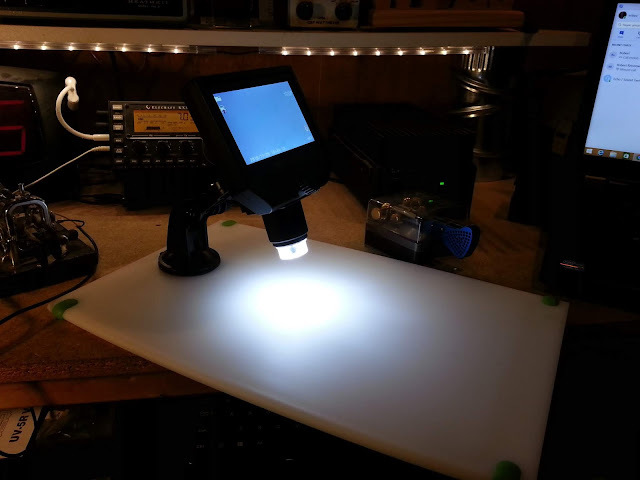 There was a post on the 4 States QRP Group e-mail reflector, where one of the members asked if anyone from the group was interested in doing an all QRP Field Day effort. It's really not that difficult a proposition and I heartily encouraged them to do so. SPARC and NJ2SP got started doing Field Day in 2014. A bit of background - we were founded in April of that year. Planning for Field Day only two months later doesn't leave you with much time, does it? I opened my big fat mouth and suggested that we just go to the local park, throw some wires in the trees and go from there. That year we entered under the 2A Battery banner. We came in 3rd place in our category, 39th place out of ALL 315 stations running 5 Watts that year, 16th place out of 97 in our Division, and 7th place out of 44 entered in our Section. I fully suspected that even with that great inaugural performance, the club would want to go QRO in 2015. To say I was surprised when they made it known that they wanted us to stay QRP would be an understatement! We've had a blast every year and 2017 was THE banner year for NJ2SP so far. 2017 saw us end up in 2nd place in our category, nationwide and 8th place out of ALL 321 stations running 5 Watts. 4th place out of 98 in our Division and 2nd place out of 36 in our Section. 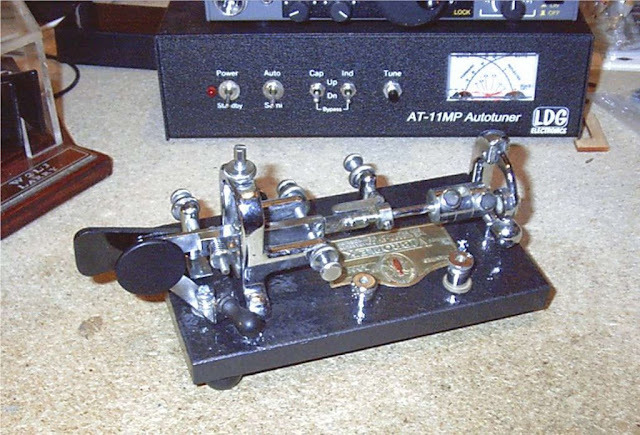 In 2018 we placed a greater emphasis on "Elmering" and PR for Amateur Radio, in general. As a result, we didn't place as well as 2017. But hopefully with a few new members that we have introduced into our fold, 2019 will allow us to do all that AND get fannies behind the mic and key in order to get those QSO totals back up again. on the Amateur Radio front - sadly. I've been to busy with other "nonsense" to give radio the time it deserves, lately. In fact, last week I missed both QRP Foxhunts. On Tuesday because my son was involved in an MVA (no one was hurt - just car damage - thank God!) and I just didn't have the heart to get on the air that evening. Thursday night I attended an ARES Connect webinar. The weekend was spent doing house chores and starting to get the house ready for Chrsitmas - decorating the outside, inside and all that jazz. However, during my weekly Skype session with W3BBO, I decided which kit I am going kick off the 2018/2019 Winter Building Season with. It's a cheapie little o'scope kit that I purchased from Bangood about a year ago. I know, I know - you're all thinking, "But Larry, you get what you pay for!" And that's true. I don't expect much from it. 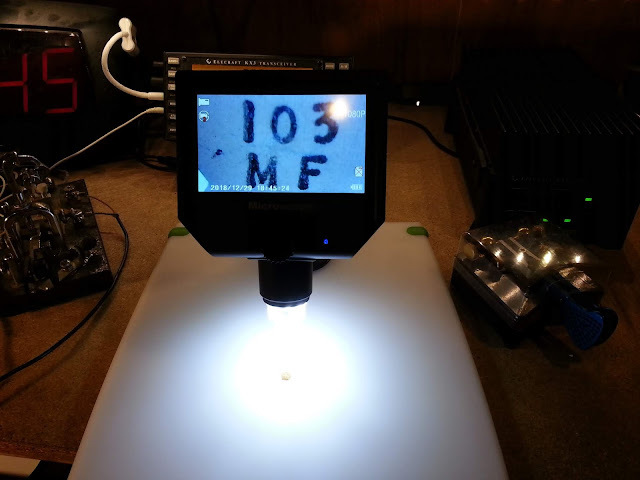 But if I can use it to trace signals on circuit boards, it will have been worth it. Besides, it doesn't look very complicated and should go together rather quickly. Just what I need before jumping in with both feet with my QCX and Bayou Jumper.